GORGEOUS San Carlos single story nestled across from Cowles Mountain! 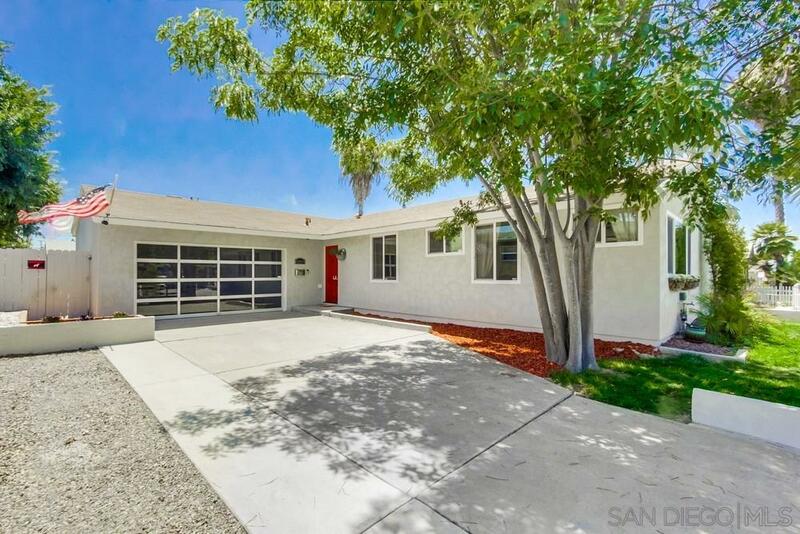 This wonderfully sleek & stylish upgraded home features an open floorplan, new HVAC, dual pane windows, security system, engineered hardwood floors, fresh exterior paint, plus more! Spacious backyard is picture perfect for entertaining, w/refreshing pool, gazebo & fire pit area. Special feature includes finished garage with fireplace, currently used as a den/game room. Fabulous location close to shopping, schools & freeway access!, Feel right at home the moment you walk up to the front door! Enjoy all the comforts and convenience this beautiful single story home has to offer including remodeled kitchen with granite counter tops and eat-up bar, SS appliances, new bath tile surround, vanities and fresh paint, ceiling fans throughout, resurfaced pool and new tile. Surrounded by peaceful views of Cowles Mountain in highly desirable San Carlos Community! Incredible Value - -Not to Miss!